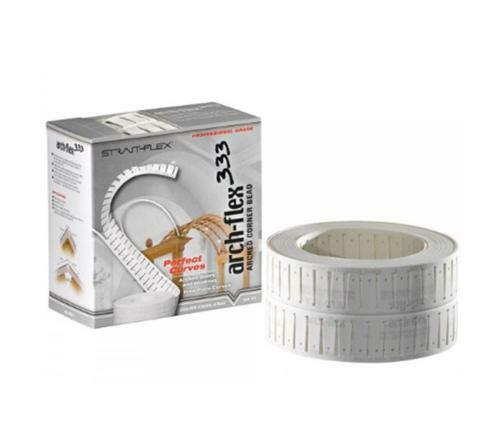 3 3/8 in x 50 ft Strait-Flex Arch-Flex Drywall Tape at Cowtown Materials, Inc.
Arch-Flex is the first arch product that comes on a roll. Designed for all radius curves, Arch-Flex also resists dents and paint chipping, cuts easily with a scissors or utility knife, is applied with all-purpose joint compound, and will not rust. The tape is manufactured with patented tear strips to create easy straight-to-curve transitions. Pre-finished surface. Just skim coat edges to finish.